From downtown Austin: Take TX-1 Loop S/Mopac Expy South/Merge onto US-290 West/Turn left onto FM 1826/RM-1826/Turn right onto Lewis Mountain Drive/Turn right onto Young Lane/8801 YOUNG LANE is on the Left. Hello, I’m interested in 8801 Young LN and would like to take a look around. 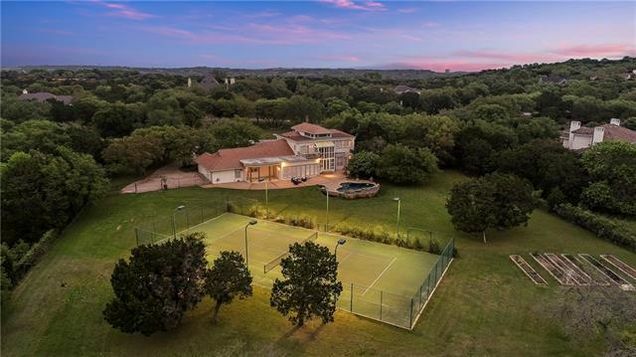 The details on 8801 Young LN: This house located in Estates of Lewis Mountain, TX 78737 is currently for sale for $1,099,999. 8801 Young LN is a 5,526 square foot house with 6 beds and 5 baths that has been on Estately for 4 days. 8801 Young LN is in the Estates of Lewis Mountain neighborhood of Austin. This house is in the attendance area of Gorzycki Middle School, Baldwin Elementary School, and Bowie High School.